Jordan – the name itself conjures images of breathtaking desert landscapes, ancient cities and Biblical scenes. 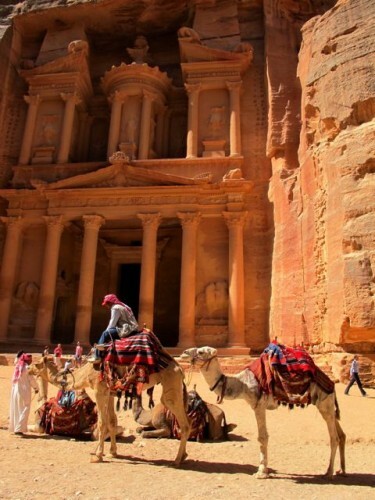 Located in the heart of the Middle East, there are countless things to do in Jordan, a country with a history dating back to the times when the prophets walked the earth, and ancient empires ruled vast swathes of Asia, Europe and northern Africa. Present-day Jordan straddles the Fertile Crescent, an area that is widely known as the cradle of modern civilisation, and was ruled through the ages by a succession of empires. The Babylonians, Nabateans, Egyptians, Greeks, Romans, Persians and the Byzantines came and went, leaving a legacy that is visible till this day. The fabled city of Petra is the most stunning example. Built by the Nabateans around 100 B.C., the city is now a UNESCO World Heritage Site and one of the New Seven Wonders of the World. Wadi Rum, also known as the Valley of the Moon, is a desert region in southern Jordan that consists of a broad valley with extensive dunes and impressive rocky outcrops, some as high as 1,500m (or close to 5,000ft), carved out over time by the eroding effects of water, wind and frost. I highly recommend going on a hot-air balloon flight at sunrise. The experience is quite literally breathtaking! Read about my Wadi Rum hot-air balloon experience. Hot-air balloon flight over the Wadi Rum desert in Jordan. Book your hot-air balloon flight. If you can, spend a few nights in Wadi Rum to fully experience the wonders of this desert region. You can camp with the Bedouins and enjoy their food and chatter, not to mention the stunning night sky, and in the day, you can go on a desert safari and/or trek. Read more about things to do in Wadi Rum. Natural stone bridge in Wadi Rum. Recognise this bridge from one of the new Star Wars movies? Ancient rock inscriptions on a rocky outcrop in the Wadi Rum desert. 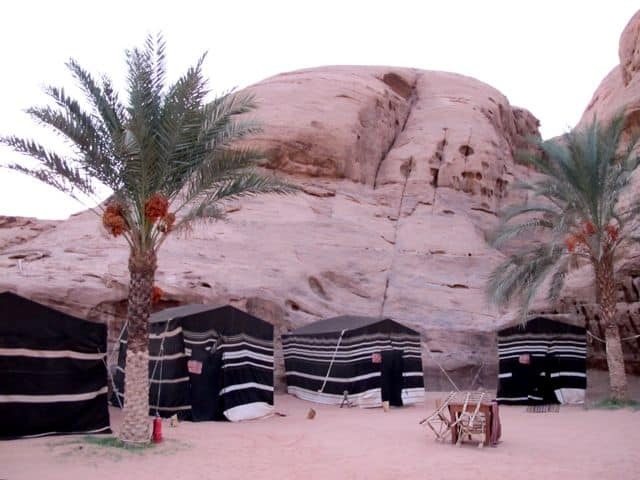 Check out the Wadi Rum Night Luxury Camp or the Wadi Rum Bedouin Camp. The Dead Sea is famous as being the lowest spot in the world (420m/1400ft below sea level) and a sea in which no life is possible due to its extreme salinity. The Dead Sea is one of the top attractions in Jordan and rightly so. The experience of swimming, or rather floating, in the Dead Sea is simply extraordinary. 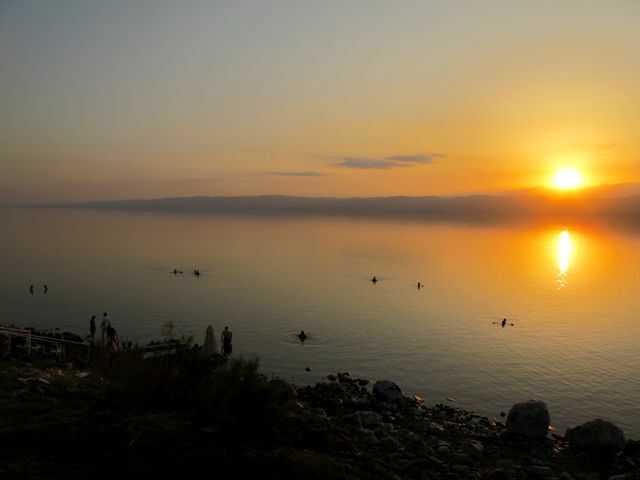 For a truly unique experience, try to time your visit to the Dead Sea just before sunset. I recommend the Mövenpick Resort which enjoys a stunning location at the shores of the Dead Sea. Read about my Dead Sea experience. 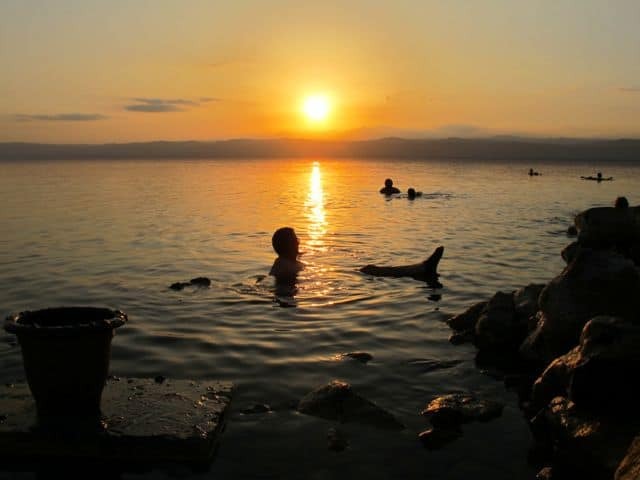 A bucket of Dead Sea mud, afloat and enjoying the sunset. Magical! Petra, the ancient Nabatean city in southern Jordan is arguably the country’s premier tourist attraction. I’ve been there two times now and I wouldn’t think twice about returning again! I highly recommend spending the night in the Wadi Musa township just outside Petra because this allows you to visit Petra at night! Seeing Petra by night is absolutely one of the most enchanting experiences I’ve ever had. Hundreds of candles line the Siq, the mile-long gorge which leads visitors into the city. 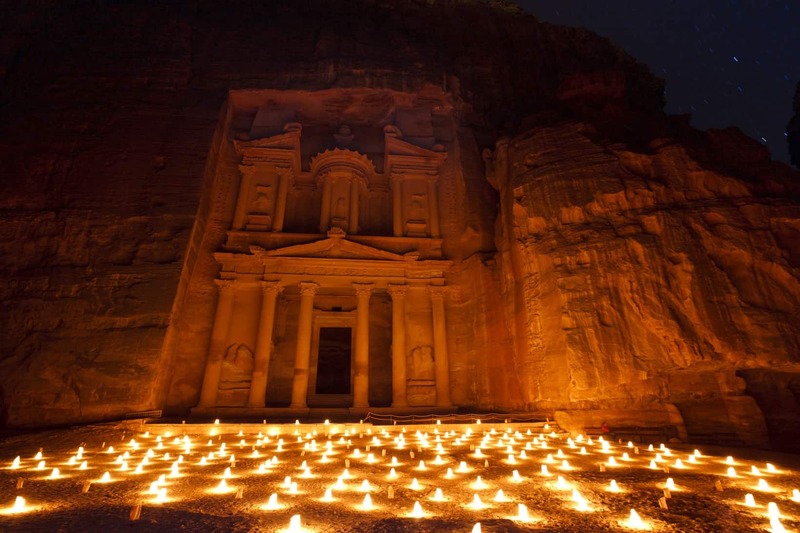 The highlight appears at the end of the Siq when the famous Treasury building slowly comes into view, cloaked by a faint glow from the sea of candles at its feet. The Bedouins’ musical performance adds to the wondrous atmosphere. Read about things to do in Petra. 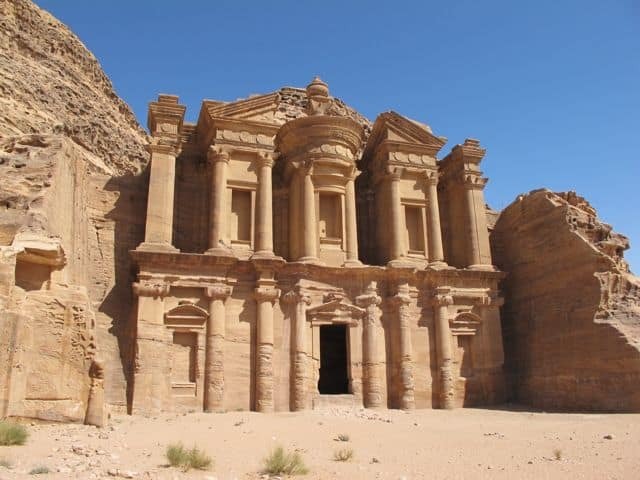 Check out this two-day tour to Petra from Amman or this two-day tour of Petra, Wadi Rum and the Dead Sea. 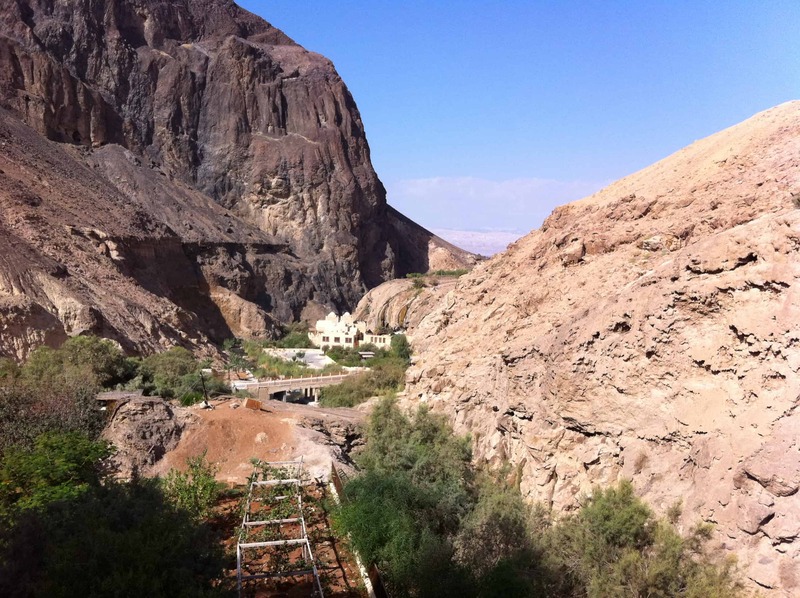 If you plan to stay in Petra/Wadi Musa (and I recommend you do), check out the Mövenpick Resort Petra, a luxurious hotel located right at the entrance of Petra. Search for hotels in Wadi Musa. The Ma’in hot springs are located near the Dead Sea, about an hour’s drive southwest of Amman, in a spectacular canyon 264m below sea level. The last stretch of the drive from Amman, through mountains and down into the canyon is especially stunning. 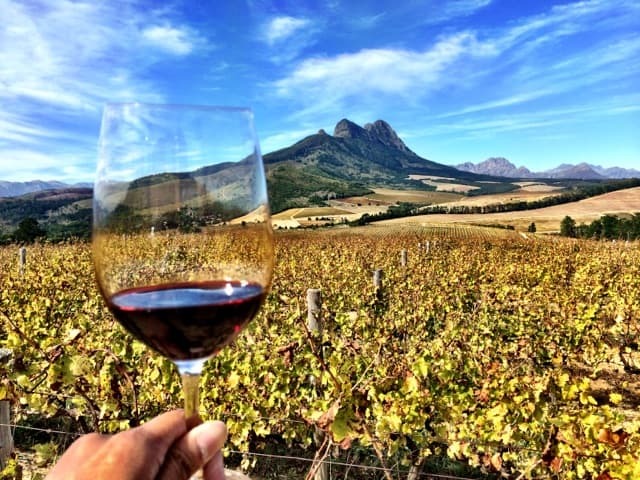 As the road winds its way down to the canyon floor, you’ll be treated to amazing panoramic views of the orangy-ochre coloured mountains, the canyon and the gorgeous palm-fringed oasis cosily nestled in the valley. 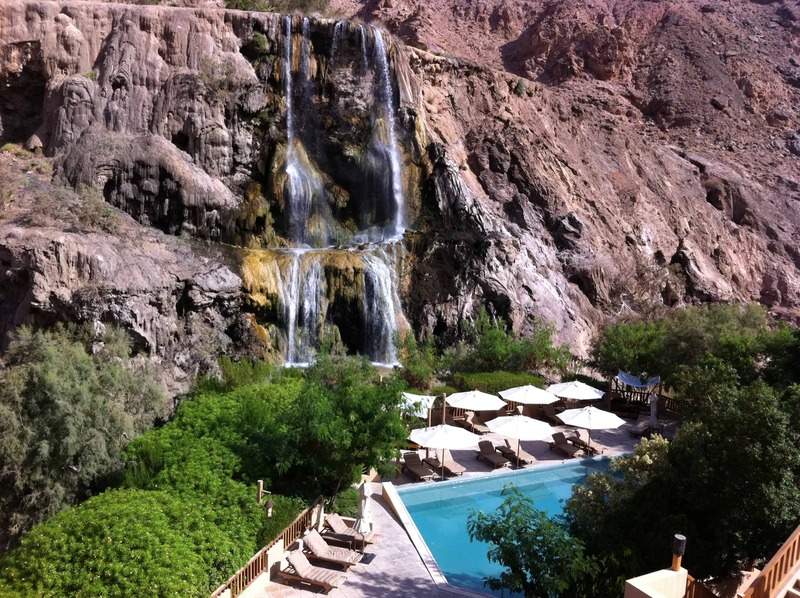 The view of the elegant cascades in this mountainous desert landscape combined with the fantastic Spa make Ma’in one of my favourite experiences in Jordan! Read more about my Ma’in hot springs experience. Book a day tour to Ma’in hot springs from Amman. 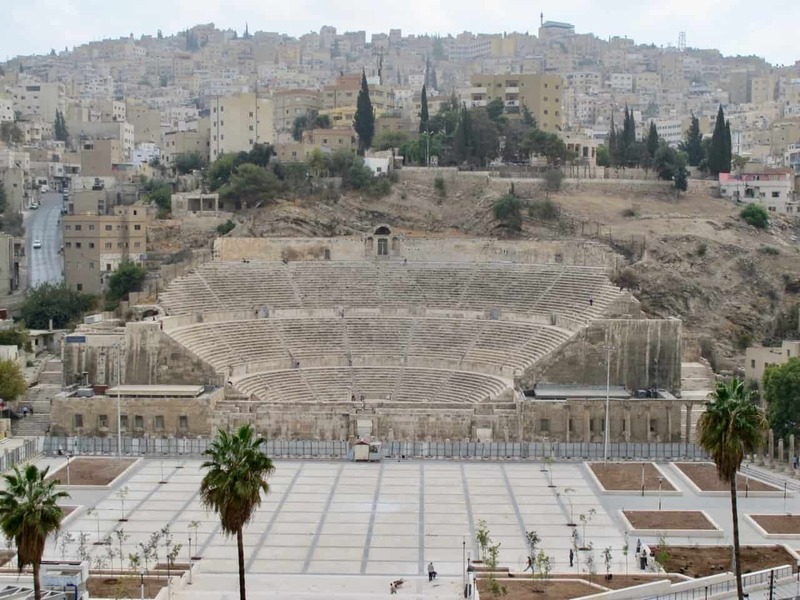 Amman, the capital of Jordan, is a great city to spend some time in. Packed with history (don’t miss the Citadel and Roman theater), buzzing streets and a vibrant nightlife, there’s lots to do here to keep any visitor busy for at least a few days. The Roman amphiteatre in Amman. One of my favourite things to do is to simply wander around the souks or markets. 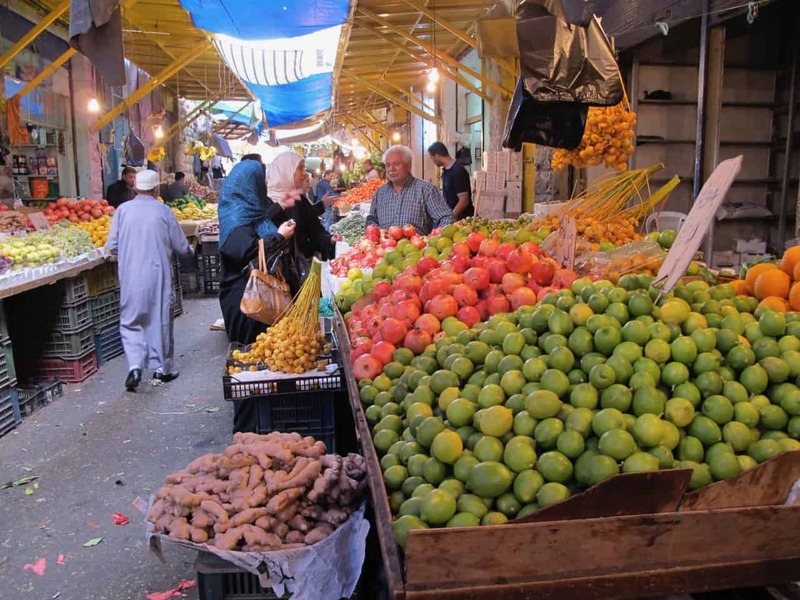 Everything, from produce to clothing and jewelry can be found in these colourful souks. Even if you’re not into shopping, I’m sure you’ll enjoy the colourful sights, hustle-and-bustle and the scents of spices. In Amman, indulge yourself with a stay at the Four Seasons Hotel or the Intercontinental Hotel. Jerash is, next to Petra, the most significant of Jordan’s historic sites. 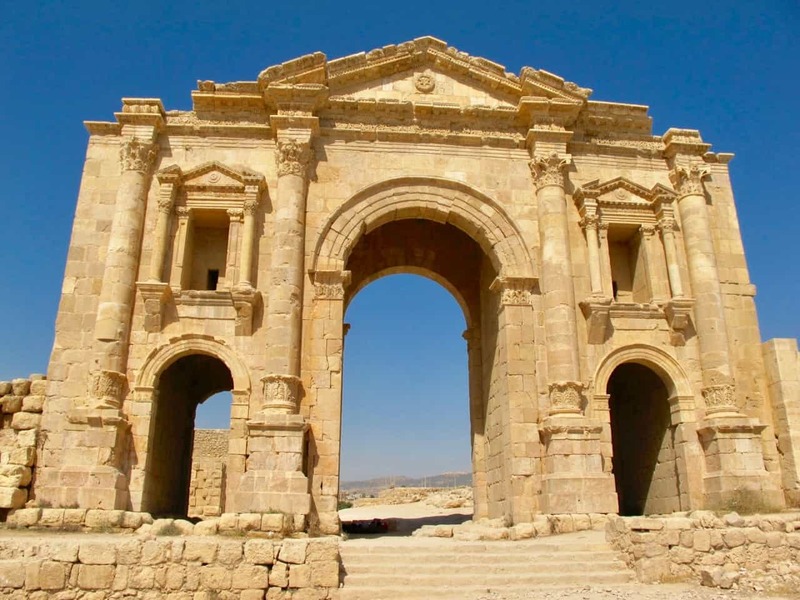 Located about 50km north of Amman, Jerash can trace its roots back to the 1st century B.C. and these days, the remnants of its glorious past are an amazing sight. 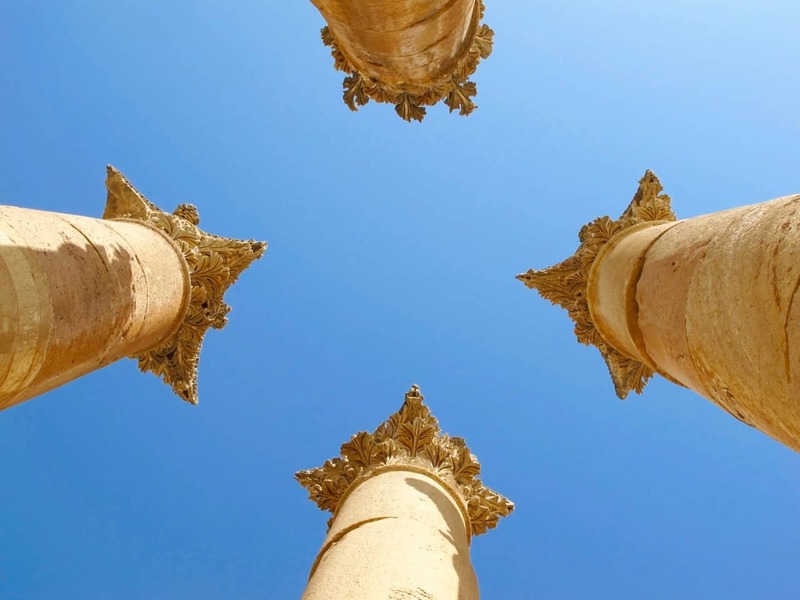 Jerash is perhaps most famous for Hadrian’s Arch and the beautiful Corinthian columns. Make sure you spend some time strolling around the ancient city and look up admire the intricate Corinthian columns! The highlight for me was walking along the avenue of columns! 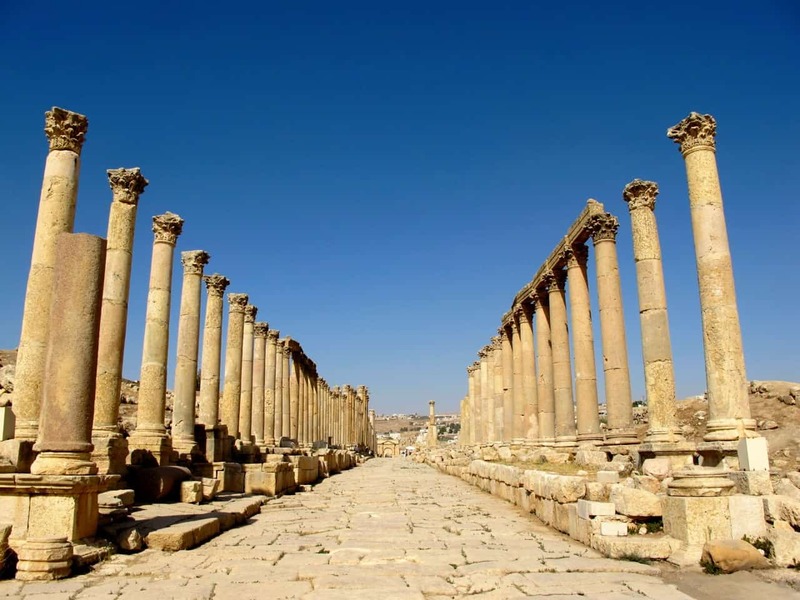 Book a day tour to Jerash or this private day tour to Jerash and Umm Qais from Amman. Indeed! Jordan is definitely one of those places that gives you the travel bug and inspire you to want to see more of the world! Man, such a magical place. Petra and Wadi rum really are special. I feel like when you go on a trip like this it really gives you the travel bug.